In the latest in a series of reverse mortgage coverage, the Huffington Post this week published an article originally sourced by NowItCounts.com. The area of focus: 10 reasons to use a reverse mortgage. 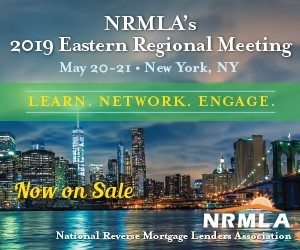 Among them are several of the reasons loan officers today focus on in their work with prospective borrowers: eliminating an existing mortgage payment, repairing a home, or simply providing a plan B in the event of an unforeseen expense. But also on the list are some less-often noted uses such as helping to manage disability costs, starting a small business or helping family members who need it. Whether you agree with the uses or not, visit the Huffington Post to check out the full list.